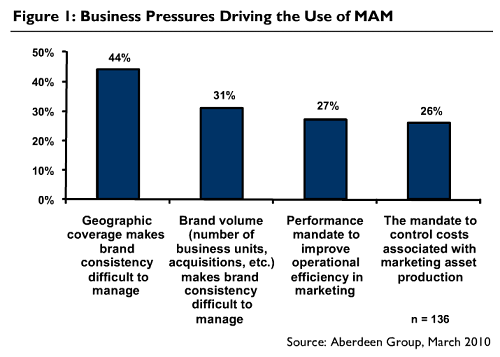 According to the study, managing marketing compliance and brand consistency across business units and geographies are among the top priorities of marketing managers and CMOs in 2010. Many organizations continue to stifle efficiency and waste money on unproductive, decentralized marketing resource management processes. As organizations attempt to operate as efficiently and effectively as possible under volatile market conditions and often with fewer resources, MAM solutions empower sales and marketing teams to maximize return on marketing investments by centralizing and improving accessibility to approved marketing resources. 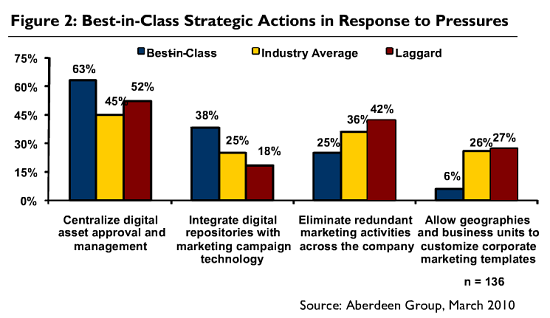 Obtain a complimentary copy of the Marketing Asset Management report from Aberdeen Group. Learn more about Marketing Asset Management from Widen.